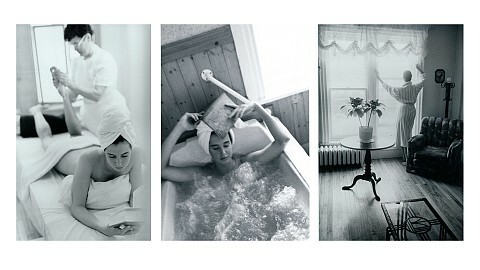 Auberge du Parc Inn, lavish and imposing, was built by the Robin Company in the early part of the 19th century. 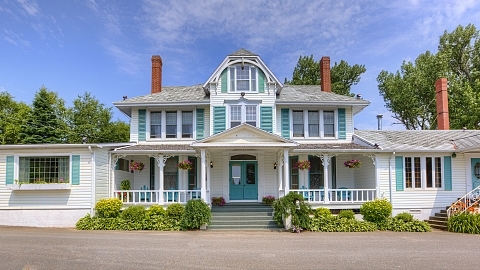 Set well back from the highway 132 and bordered on all sides by a wooded park, this exquisitely beautiful mansion overlooks the majestic Chaleur Bay, the harbor and historical buildings from which the Robin directed their entire maritime operations. 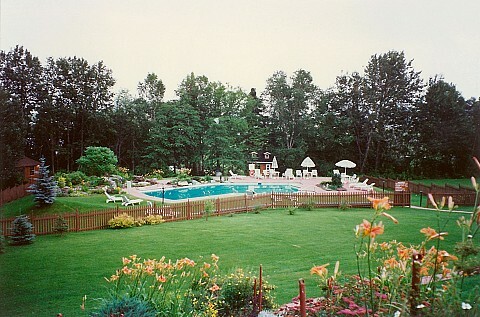 With its unique characteristics from its striking architectural design and magnificent grounds, Auberge du Parc Inn now caters to the health-conscious vacationer by combining the virtues of the Chaleur Bay and its invigorating climate, supplemented by a vast range of up-date facilities, and a specialized highly qualified staff. 32 rooms dispensed on three pavilions overlooking the Chaleur Bay, private bathroom, phone, television, free access to internet, lawn and long chairs. Breakfast, lunch and dinner. Fish and seafood, fresh lobster un season, excellent selection of meat, exquisite cuisine, allergies respected and Table d'hôte menu. From $9 to $50. The Auberge du Parc Inn greets with pleasure travellers and tourists for its rooms, dining room and all the leisures on its grounds and this without further obligation towards thalassotherapy treatments.